New endorsement: Councilmember Charles Allen! I am thrilled to announce that last night I received the endorsement of Councilmember Charles Allen for my campaign to become your Shadow Senator! 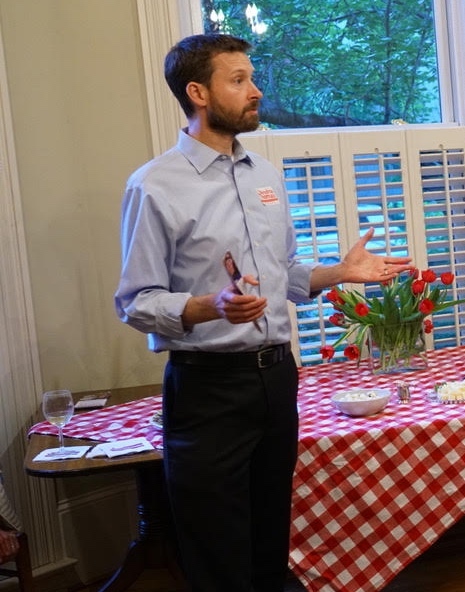 Councilmember Allen took the unusual step to endorse in a contested primary because he knows that it’s time for a Senator who will engage in an active, strategic effort to move forward on Statehood. I have organized actions defending DC’s right to self-governance as part of #HandsOffDC, the movement Councilmember Allen started last year, and I’m honored that he recognizes the hard work and strategic thinking that I bring to every project I take on. Should we both be successful in our election efforts, I look forward to a productive relationship with Councilmember Allen. I’m thrilled to have his support, and thank him for the endorsement.